Hair loss or growth is affected by many factors. Till date few of them are known for example effects of androgen, genetic factor, stress, crash diet, long standing malnutrition, ferretin deficiency. In male front hair follicles are genetically predispose to fall with the effect of testosterone. We can not correct genetic factor but we can treat dietary deficiency and effect of hormone. A proper diet of vitamins, minerals, protein, amino acids play a major role in healthy hair growth. Any deficiency in these natural diet supplements can lead to gradual thinning of hair. 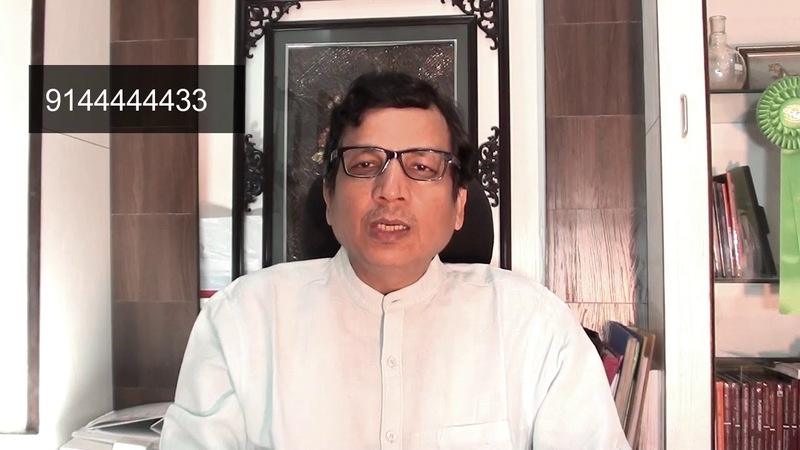 Nutritional value of the diet which we are taking needs to be evaluated . High amount of pesticides and freezing food products reduces nutritive value of food. 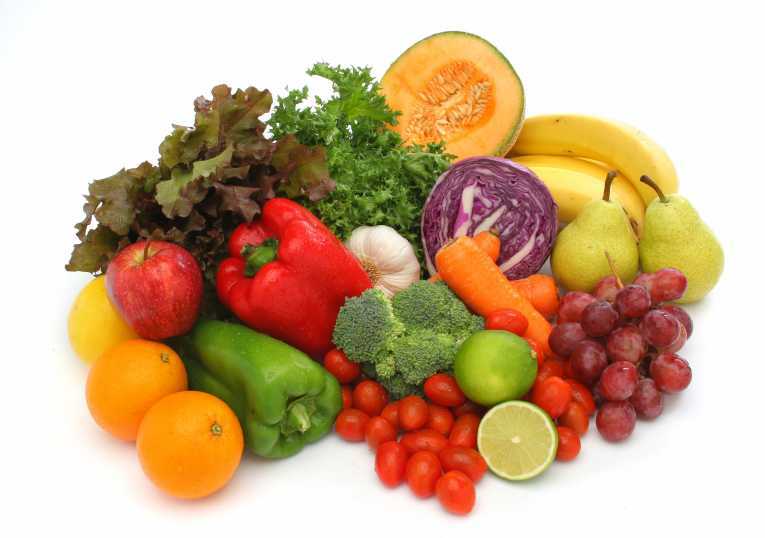 Fresh fruits and vegetables have high value of anti oxidants. Our body is very selective in supply of nutrients to our body parts. Priority is given to vital organs. Hair are given least preference as far as supply of nutrients is concerned because we can live without hair .therefore in order to nourish our hair our diet should be supplemented by enough amounts of essential nutrients so they are available for hair follicles. Some minerals and vitamins can influence the activity levels of another vitamin and minerals. For example, intake of lysine, vitamin B12, vitamin C, help in absorption of other factors like iron. So the nutrients may not affect hair growth themselves but may influence another nutrient which does. It is worth bearing in mind that due to complexity of the body there can be many potential interactions for even the simplest of nutrients. Vitamin B12 (cobalamin).–Stress is one of the common causes of hair loss. Vitamin B12 is an anti-stress vitamin, which improves the condition of the immune system and it is also a potent hair growth stimulator. It is available in food sources like fish, dairy products, organ meats (the meat found in liver and kidney), eggs, beef, and pork. PANTOTHENIC ACID (Vitamin B5) –Prevents greying and hair loss. Present in whole grain cereals, brewer’s yeast, organ meat, egg yolk. Daily dose 4 to7 mg.
Vitamin B6.–Prevents hair loss, and helps in melanin formation. Daily dose 1.6 mg.
Niacin (Vit. B3) — Promotes scalp circulation. Present in wheat germs, fish, chicken, Daily dose 15 mg.
Biotin–Helps in keratin production. It prevents hair loss and greying of hair. Found in whole grains, egg yolk, liver, rice, milk. Daily dose 150 -300 mcg. Inositol–Keeps hair follicle healthy at cellular level. Present in whole grains, brewer’s yeast and liver, citrus fruits. Daily dose up to 600mg. Vitamin C- –required for the healthy growth of hair and skin. It is commonly found in food sources like citrus fruits. Main constituent of hair is protein, so protein is an essential nutrient for hair production. 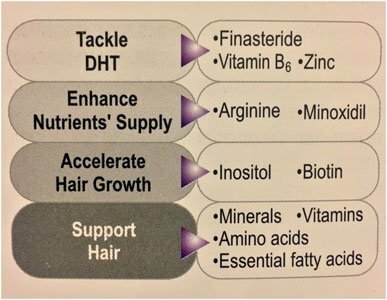 Following are the important amino acids which play an important role in hair growth. L-CYSTINE–For hair growth, the most important amino acid is cysteine. It contains sulfur molecules which cross link with each other to produce disulfide bonds. These chemical bonds give strength to hair. This facilitates longer hair growth beyond what is genetically programmed. L-ARGININE–Hair follicles use nitric oxide to maintain and promote new hair growth. L-arginie is required to produce nitric oxide. Sulfur has been called nature’s “beauty mineral” because it is needed to keep the hair glossy and smooth and keeps the complexion clear and youthful. It is needed for synthesis of collagen and is prevalent in keratin, a tough protein substance necessary for health and maintenance of the skin, nails and hair. Minerals are one of the important diet supplements required for healthy hair growth. Without adequate quantity of minerals, our body is not able to absorb the benefits of other nutrients like vitamins, proteins, carbohydrates and fats. Silicon It builds the connective tissues, like ligaments and tendons. It leads to the growth of hair, skin and fingernails. Silicon is largely available in foods like whole grain, breads, cereals, alfalfa, beet, black pepper, bean and pea. Zinc is required for the normal growth of the hair, teeth, bones, nails and skin. It builds the connective tissue like ligaments and tendons. Zinc is largely available in food sources like whole wheat bread, seafood and other animal meats. The FDA approval of oral finasteride and minoxidil for treatment of androgenic alopecia. The exact mechanism by which minoxidil works is not known, but the drug is felt to increase the duration of the hair follicle growth cycle (called anagen). This improves the quality of the hair by increasing the diameter and length of fine, miniaturized hair. Minoxidil is most effective if applied to the scalp twice a day. The medication only works if it is in direct contact with the scalp (not the hair) and only works in areas where it is applied. Therefore, it is important to use the medication in the front part of the scalp if this is an area of thinning. 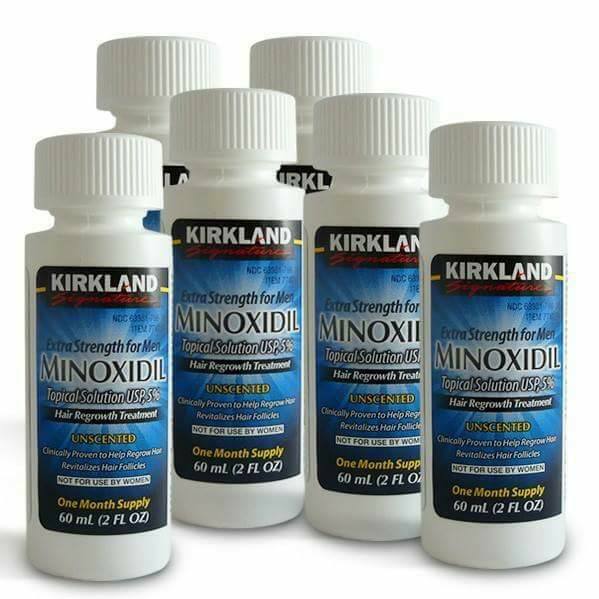 When using minoxidil, it may take 6‐12 months before any results are seen. The majority of patients who see an effect from minoxidil experience a decrease, in the rate of hair loss. The drug also serves to thicken already existing hair, but most patients who do have results, grow only short, thin fuzz hair. It will not grow any new hair on a bald scalp. If minoxidil is discontinued, the effects of the drug wear off within three months and the previous pattern of hair loss resumes. When minoxidil is restarted, one generally does not regain the hair that was lost, so it is best not to stop and start the mediation, but to use it regularly. It is sold in concentrations of 5% for men and 2% for women. Only the 2% concentration of minoxidil has been approved for use in women. Female patients are generally more sensitive to the side effects of minoxidil in decreasing blood pressure (hypotension) and may get light headache from the medication. Women also have an increased risk of developing allergic skin reactions (contact dermatitis). Male pattern baldness or androgenetic alopecia is caused by the effects of the male hormone dihydrotestosterone (DHT) on genetically susceptible hair follicles that are present mainly in the front, top, and crown of the scalp (rather than the back and sides). DHT causes hair loss by shortening the growth (anagen) phase of the hair cycle, causing a decreased size or miniaturization of the follicles. The effected hair becomes progressively shorter and finer until it eventually disappears. DHT is formed by the action of the enzyme 5‐alpha reductase on testosterone. Finasteride is a drug that works by blocking the enzyme 5‐alpha reductase Type II that converts testosterone to dihydrotestosterone (DHT) in the hair follicle. Finasteride decreases both scalp and blood levels of DHT and its effect is felt to be related to both of these factors. Finasteride 1‐mg/day decreases serum DHT levels by almost 70%, it can hold on hair at any age, but works best to re grow hair in those who are younger. Occasionally we see patients in their 50s re‐grow some hair with finastride, but this is the exception rather than the rule. The benefits of finasteride will stop if the medication is discontinued. Over the 2‐6 months following discontinuation of treatment with finasteride, the hair loss pattern will generally return to the state that it would have been if the medication had never been used. Of course, if there is no hair in the area at all, the medication is not going to work. Since finasteride takes up to a year or more to exert its full effects, in either re‐growing hair or preventing further hair loss, patients must take finasteride for one year, or longer, before its effects can be accurately assessed. During the first six months, one may note some thinning of ones existing hair as the new growing hair replaces the miniaturized hair, so it is important to be patient during this period. Side effects from finasteride at the 1‐mg dose are uncommon, and fortunately reversible. Of men taking finasteride 1mg, 3.8% experienced some form of sexual dysfunction verses 2.1% in men treated with a placebo. Finasteride and minoxidil work synergistically since their mechanisms of action are different. Minoxidil stimulates the hair follicle directly, but finasteride permits hair growth by blocking the negative effects of DHT. This is a laser which comes in two form –one in in the form of a dome which usually remains with hair transplant surgeon and patient has to go to him regularly. Another is Laser comb which patient can by and do himself at home. This is US FDA approved treatment and effective especially after hair transplant. It work by photo bio modulation at cellular level. It is non surgical non medical US FDA approved treatment of hair loss and effective in both male and female patient.